I went to lunch with some of my dearest childhood friends on Friday for a late birthday celebration, and it was a blast. Thanks again, guys! Anyway, we ended up at one of my favorite restaurants, UrbanPl8, and it was amazing, as always! I had the Coconut Curry Shrimp and after eating it, I thought “I have to figure out how to make this!”. It actually tasted better than it looked. Anyway, Alice and I attempted to make it today. We started with the spices since they were so memorable. It was fun because we used so many of them, and actually one that we had never used before. We used fresh garlic, cilantro, lemongrass (which this was a first for me! ), scallions, and ginger. Alice had fun helping pressing the garlic and learning about all of the spices and smells. This is not to say she loved them all of them. She now knows that spices are not really for sampling, as good as they smell. 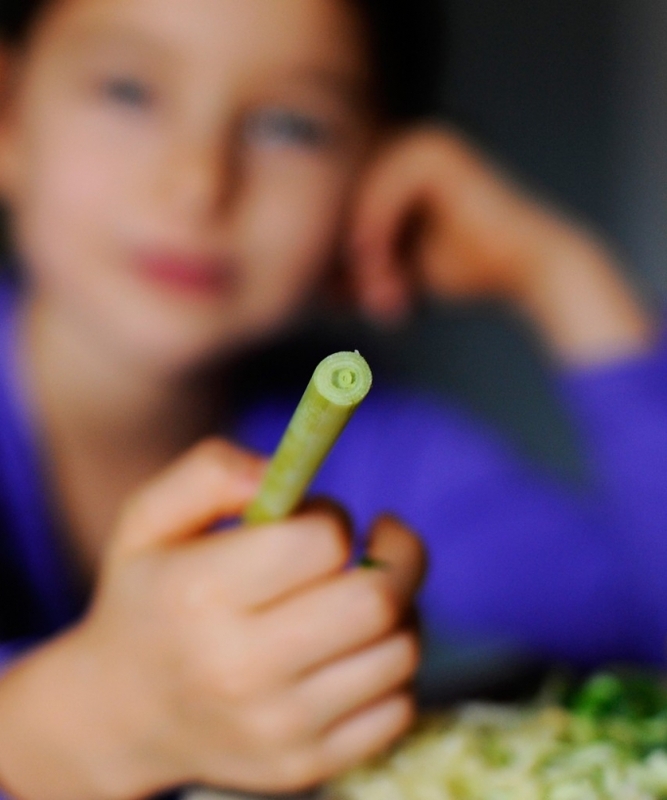 The lemongrass was new to me and very easy to use, and it adds so much flavor. 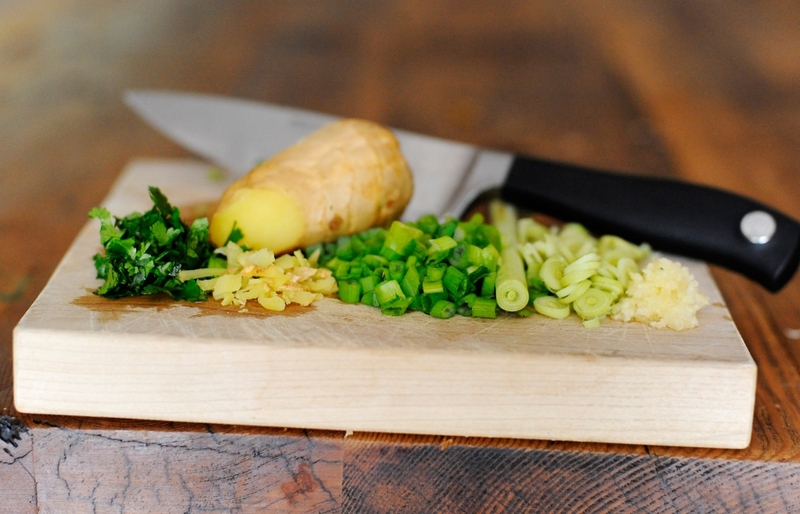 Grate, chop or press, your garlic, scallions, lemongrass, cilantro, and ginger and set aside. Pour 2 tbsp sesame oil in large pot and heat. Once heated, add 4 good handfuls of kale. Let cook about 5 minutes. Add in the ingredients that you just prepared. Let cook for a few more minutes. Then, pour in chicken broth, coconut milk, and cleaned and unshelled shrimp. Stir and let cook on low heat for about 5 or so minutes. Make sure to not let your shrimp get tough. Add in spices below and enjoy! karina - Looks amazing!!! How come none of your recipes have # servings? 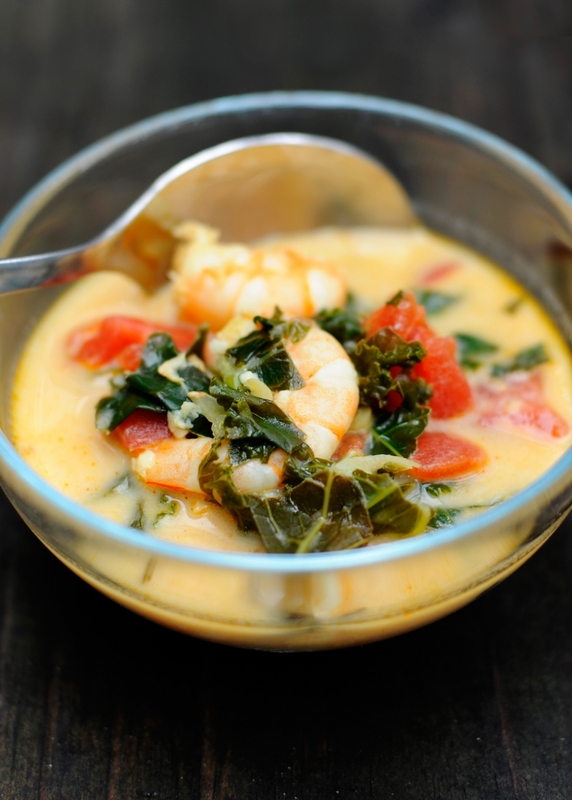 Can you please specify for this recipe a well as the cilantro coconut shrimp soup? I’d like to make them for friends. 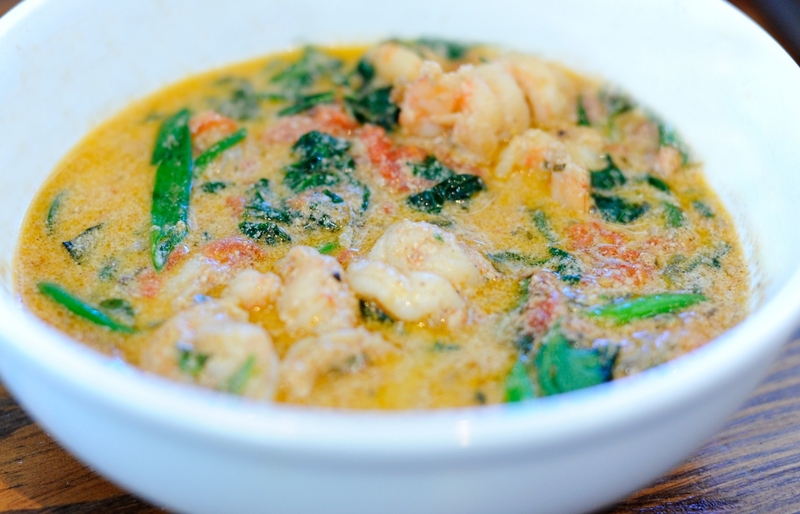 Linda - for the curry coconut shrimp soup, it asks for 1 tsp Publix spice. what is that?